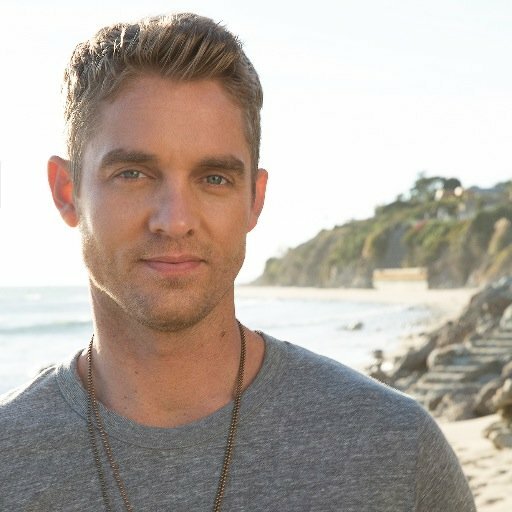 Brett Young made his first UK appearance as part of Lady Antebellum’s You Look Good World tour last month. 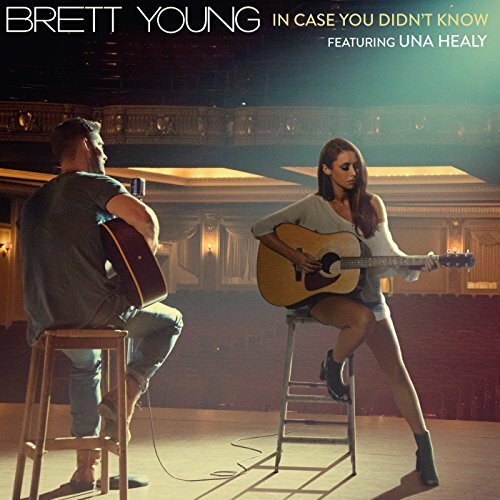 Brett, already popular with the UK country music fan base gained even more fans during his stay and formed an even stronger connection by teaming up with UK country star Una Healy for his new duet version of In Case You Didn’t Know which was released in the UK last month. I caught up with Brett just before his show at London’s O2 Arena. Hi, I am great thanks – how are you? I am doing great, thank you. Welcome to the UK – we are so happy to have you here. How has the tour been so far? Thank you – it has been great; it has been really cool and very, very different from the experience we have had on the US leg of the tour – in a very good way! I think the fans over here have a style of their own, which is pretty cool. Oh really, in what way? Much more attentive and just as excited about what’s going on. There is a swell of emotion and then silence again waiting for what’s coming next – it’s really cool to see that dynamic. Did you have any expectations coming over; did you know you had a fan base here? No, I didn’t. I think it’s kind of interesting nowadays with the music business being what it is, you can’t really judge what ticket sales or fans’ reactions will be, based on what songs are selling or streaming – you actually have to come out and play it to see. I have never been over here before, so I was very curious to see what it would be – and it was a very pleasant surprise. I have had fun and, like I said, it has been such a different experience and I can’t wait to come back. Have you found that people know the words to your songs? They do, they do – and they don’t just know the singles, they know the entire album. I feel that people over here, if they like a song then they will buy the whole record. You only just released the album in the UK on Friday, so it must be pretty wonderful to see that response so far in the audience. Absolutely. I think it is very easy to dig into the songs that have already had the success and kind of stick with that, but it’s very nice to see that people have gone deeper than that and when you play it and you see people singing back in a city you have never been to before, it is really, really cool. You have also just released a new UK version of your single In Case You Didn’t Know with Una Healy. How did that pairing come to be and what made you decide to make it a duet this time around? Una reached out; she had heard the song and she had the idea of making it into a duet. At the time we already had the song, which had already had a lot of success in the States and, being one of the writers on the song, I was very attached to it the way it was. It took me a minute, but then I saw it as a call and answer styled song, and not just a duet for the sake of it being a duet. It kind of changes the story a little bit, you know? The guy has trouble expressing his feelings with the girl that early in the relationship and which one of them is going to break first – or are they both going to hold out so long that it doesn’t work? When I saw it that way, I liked the idea of it connecting to an even bigger audience where more people could relate. Obviously being on the other side of the world, I couldn’t come over and record it with her, so we just sent the session over and she did such a great job. It sounds like it is being received really well over here? It is and you have met her now haven’t you? You did a session for Bob Harris together? We did, just the other day. That was the first time we had met and actually the first time we played it together live; it was a blast. She really is, such a sweetheart. If I had to put one word on it I would have to say honest. I think that’s what I want as a music fan, as a listener – to listen to a record and feel connected, you know? I don’t know how to connect with people lyrically or musically if it’s not something that I have lived or can at least relate to. This whole record is Important to me from that point of view, and I hope that’s what comes across when people listen to the record. Oh, definitely it will resonate with the UK as we are all about the songwriting and the honesty. That’s a really great question. You know there’s nothing cooler than playing a song that you’ve written and having people sing it back. I think the one that gets the biggest reaction, even having a duet over here as well, is ‘In Case You Didn’t Know’. Then there’s a song record called Mercy that just kind of breaks my heart; I think it breaks other people’s hearts, too. I think it’s OK to have your heart broken in that kind of way; it’s a good heartbreak where you’re feeling things that hurt you but you want to feel them. You know I got to write that with an artist and songwriter named Sean McConnell, who I have been a fan of for so long. Yeah, he is fantastic, yeah. I mean just to be able to kind of hit on something that he and I both wanted to write about the first time that we met each other. It was really special when I saw the way that it came out was exactly what I would have hoped for. So I think that was my favourite moment. And what goes into the process of selecting a single? Picking songs for the record was hard, because we were probably looking at like three hundred songs when we picked these 12. You say this all the time, but when you’re a songwriter who is also an artist you start to think of your songs as your babies. So you know if you have 300 and you pick 12 you feel like you have flushed the other 288 out, haha!, It’s kind of a weird feeling but like I said earlier, with that whole honesty thing, that was the vibe we’re going for. I wanted to make sure that we were making the right impression for this first record and a lot of me came out on the record. You know you’ve got to leave off songs and that’s always going to be part of it. I hope that comes across – that these were the right ones to record. Oh, I think so. You’re up for the New Artist at the CMA. That must be wonderful to hear that. Yeah. You know I used to be an athlete; I played baseball my whole life, so I try to keep that whole competitive nature out. The reality is that the nomination means everything – being listed in this specific community, you know. It’s really good company to keep and I feel so flattered that I’m even being mentioned. So it’s going to be a really fun awards season. Yes, I look forward to seeing it. Now that you have played here, if a fellow musician is thinking about coming to the UK to play but wasn’t quite sure, what would you tell them? Play, go play! I mean bring your guitar in and be vulnerable and share your music. It’s a really, really, really cool type of Country music fan there that really cares and wants to listen. You really can’t go wrong – and I definitely will be back. I hope so. 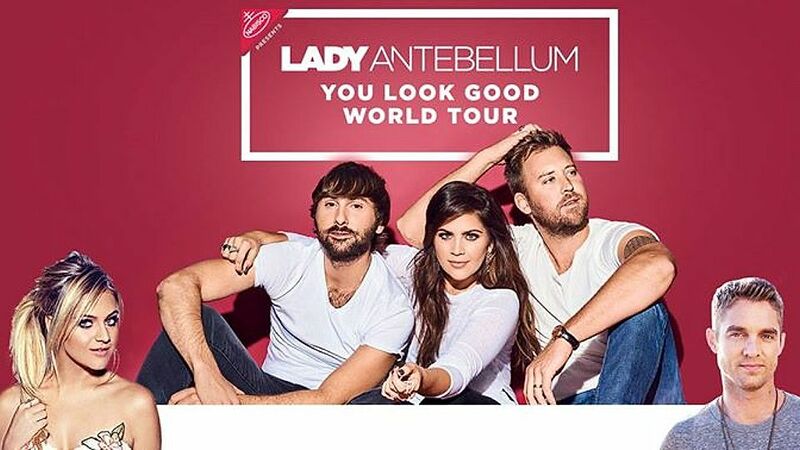 I mean there’s always C2C – or if you do a tour over here, I promise you the fans will come – if you do more than one date then the shows will sell well everywhere. Good question. I can’t get enough of Thomas Rhett right now. I think everything he puts out is fantastic. But you know, I kind of listen to music across the board. So I really like James Arthur right now and I think Sean Mendes is good. I’m not going to lie – I still go back and listen to a whole lot of Motown. So there’s not going to be too much time passes where I don’t listen to Otis Redding or Sam Cooke, or guys like that as well. And what do you do in your spare time, when you get a day off? You know in my spare time lately, since I’ve been over here, I’m still jetlagged. It’s all about finding a little time to take a nap. Hahaha! I like to get away from the venue and get a work out and kind of get the blood flowing for a change of scenery a little bit. But these days my life is music. Thank you so much for talking to me today. Please come back and do your own tour. Thank you so much. My pleasure. Look forward to seeing you soon! Yes, please come back. Take care – and have fun tonight! Take care.